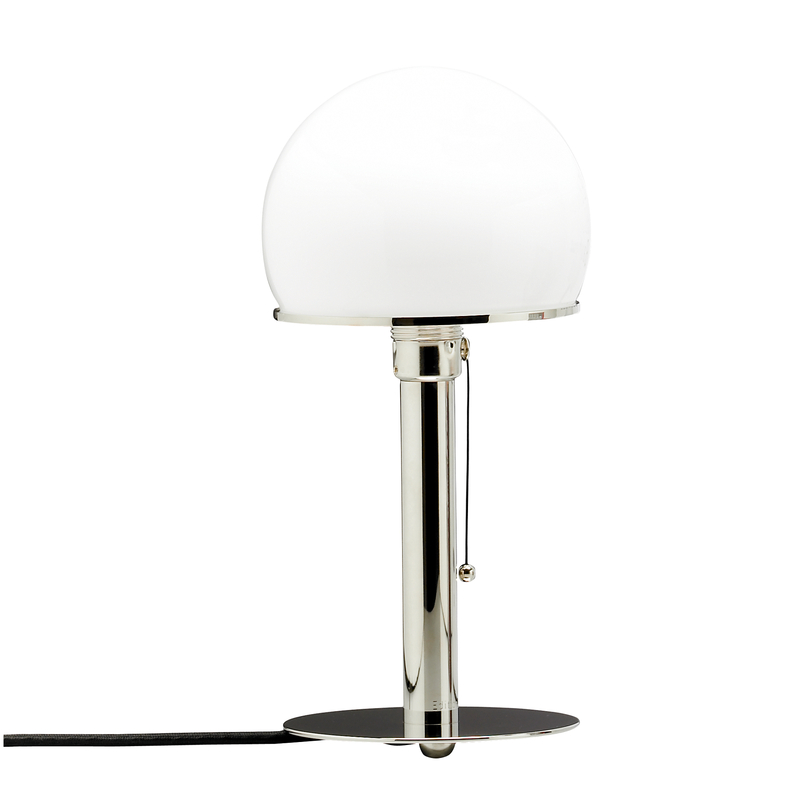 The WA 24 table lamp by Tecnolumen is often called the Bauhaus lamp. The German Bauhaus had a strong impact on the beginnings of modern product design and its ideas are still important for contemporary designers and artists. In 1979 Tecnolumen discovered the very interesting and appealing look of WA 24 and decided to manufacture it. As it turned out: a highly successive decision! - A pretty remarkable one if you consider the lamp’s time of origin. It was as far back as in 1924 that Wilhelm Wagenfeld created the model of the WA 24. Wagenfeld, who was just starting his training as a journeyman at the Bauhaus workshop, already made a product which outlasted the range of his life. The WA 24 resulted from an exercise given to Wagenfeld from Moholy-Nagy. As a product of the Bauhaus workshop, the table lamp has the look of an industrial product but has been manufactured in a non-industrial way. Today the WA 24 by Prof. Wagenfeld, copyrighted as the “Bauhaus-Glasleuchte”, is manufactured again as an authorised re-edition. All lamps are labelled with the Bauhaus sign as well as with the Tecnolumen sign. Each lamp is consecutively numbered and bears the logo of Bauhaus and Tecnolumen.